2, 4 station controller DC WP. 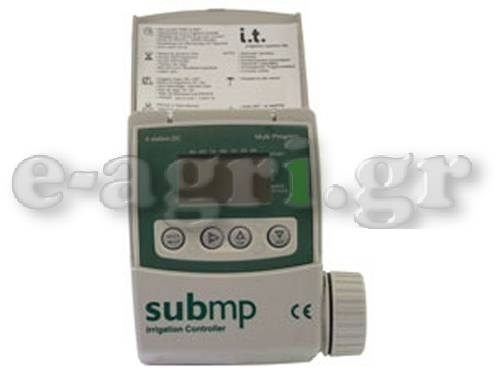 Manual operation per station or semi-auto operation for all programs insemi position. Watering time - from 1 min. up to 599 min. in 1 min. increments forprogram. 3 start times per valve per day. When battry is connected, controller starts an "OFF" command to allvalves to set them to close position.